Hi there! I am making a gift for my wife. 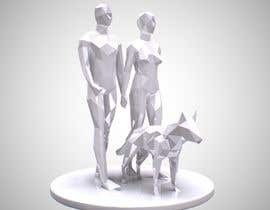 I have a Makerbot Replicator Mini+ and need a model made that I can easily 3D print using it. 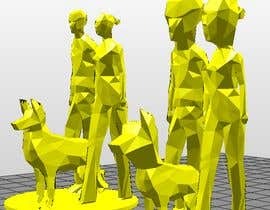 I am looking for a geometric/abstract/polygon type figuring of a man and a woman walking a German Shepherd. Do not use a skirt/dress for the woman, and no leash is required for the dog. I would like it to be 2-3 inches tall. 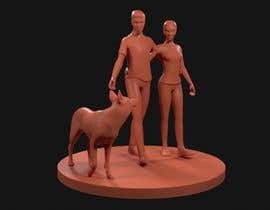 any reference in particular for the pose?